IPL 2019: Can RCB break the Chepauk jinx? The Indian cricket extravaganza - IPL 2019 - is back. It is finally time for the game to commence with the much publicized slogan #GameBanayegaName. The season's opening fixture is a mouth-watering context for all neutral fans, as it pits colossal figures MS Dhoni and Virat Kohli against each other. However, he RCB fans seem appropriately apprehensive of the match, as they rightly should. A Virat Kohli-led team featuring AB de Villiers having a win rate of just 14.2% on any ground versus any team borders on the unbelievable. But with RCB having won just 1 out of 7 matches played at the den of the Super Kings, this is a harsh reality that the RCB fans, players and team management have to come to terms with. The IPL came into being in 2008, which incidentally is the only season RCB triumphed over CSK at the Chepauk. In the next 6 matches, over the course of 10 years, RCB have failed to register even a single win. This exemplifies CSK's prowess and RCB's lack of cutting edge in the tournament. It's no wonder CSK have lifted the IPL trophy thrice and RCB have failed to do so even once. However, as we all know, the T20 form of cricket is extremely dynamic and unpredictable. It throws up surprises when we least expect, and for all we know 2019 might actually be RCB's year to finally lay their hands on the much coveted IPL trophy. I say this objectively rather than hopefully, after analyzing RCB's squad for the 12th edition of IPL. All the previous IPL champions have reinforced the need to have a strong Indian core in order to go all the way, and RCB seem to have covered their bases well in terms of this aspect in 2019. They have the ever-reliant Kohli at the helm, valuable experience in the shape of Parthiv Patel, Umesh Yadav and Yuzvendra Chahal, promising talents like Washington Sundar and Mohammad Siraj and an in-form all-rounder in Shivam Dube. Dube hit Pravin Tambe for 5 sixes in an over in the Mumbai T20 league and recreated the same feat in a Ranji Trophy match against Baroda's Swapnil Singh a day before the IPL auction. Impact foreign players are worth their weight in gold as they bring in experience and international exposure to any side. RCB are overflowing in this regard with the likes of AB de Villiers, Time Southee, Shimron Hetmyer, Marcus Stoinis, Colin de Grandhomme and Nathan Coulter-Nile, all ready to take IPL 2019 by storm. We all know the destructive capabilities of ABD, but a special mention of Hetmyer and his hefty price tag of INR 4.20 crore needs to be made here. Hetmyer ranks among the cleanest hitters of the cricket ball in world cricket today. More importantly, he had a good outing against India in India wherein he accumulated 259 runs from five games with a terrific strike rate of 140. RCB play CSK at the Chepauk in Chennai at 20:00 hours on 23 March 2019 in the season opening fixture. 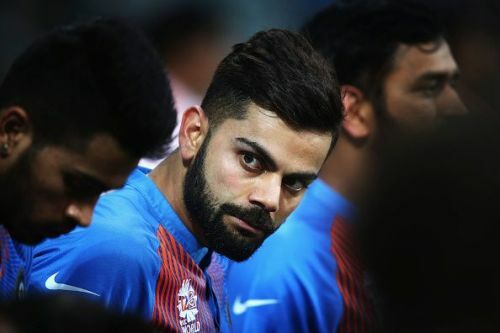 This provides them with the perfect opportunity to answer all their critics on the outside and their own demons of inconsistency within, and lay a solid foundation for their pursuit of the shimmering IPL trophy this year.